A lot of business pros appear to be free spirits. They use terms like “shoot from the hip” to describe their methods and they work “according to their instincts.” And who knows, they might actually believe that they are telling the truth. In fact, there probably are free-spirited business pros who achieve success instinctually—whose daily routine is to wake up in the morning, have a cup of coffee, and then automatically start reeling in the green. But that group of business pros, provided they really do exist, is likely small in number. If you’ve got the gene for business success, you are a unique and fortunate individual. But the rest of us have to use the old-school method of achieving success for our ventures and ourselves: hard work, hands-on learning, and a ton of trial and error. This is no truer than in the crazy world of pay-per-click (PPC) advertising. Even if you’ve only read about it, you probably would still have realized just how hard PPC advertising is to use—never mind master—to get any business success. For PPC success, more than one business pro will have slaved over the campaign’s processes; moreover, initially if any success is reached, it’s often by accident. It can take a while for PPC to work effectively for your business. 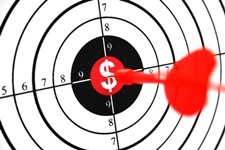 What sometimes gets overlooked in the whole PPC advertising world is the concept of targeting. One good thing about PPC is that it can be tweaked to make its system more efficient, so that all of your PPC campaigns bring in more client bang for your hard-spent buck. Targeting your PPC strategy or strategies is a form of PPC optimization; it’s a way to make your PPC advertising work best for you online. In essence, you have to work with PPC as a program to make it leaner and meaner to attract clients while not breaking your bank in the process. This is where you have to test out the data that you have. A good way to start is to do some A to B testing with your PPC online campaigns. This involves checking the conversions you are getting from your landing page—the control—as well as the variants of that page. Having a look at the data to see which variants the clients are clicking on and buying tells you what variants you should nurture to keep strong. Going further, initiating some multi-variant testing (MVT) helps, too, because MVT lets you see what headlines, titles, and specific content clients are responding to. Again, the ones that are generating the most hits and, if applicable, money are the ones that are working and are worth holding on to, while the weaker ones either need to be given more attention and tweaked to revitalize with new content or discarded in favour of new ones. Testing your PPC material is an effective way for you to see via hard data how well your PPC advertising is actually working versus how well you think it is working. A thoughtful look at the data accumulated over several months will give you a realistic impression of how well your PPC is operating. Learning from that data will help you improve on your PPC material and make your program’s aim more direct, hitting more of your target clients. The online business pros call these PPC testing and examination processes “funnelling,” a tried and true way to formulate a strong PPC strategy for specific clients, as well as ensure that these target clients will respond well to your business. Now, in the event that your funnelling does not work, don’t panic—PPC may not be your game. If you do find yourself at that point, you should start thinking about contracting out a reputable PPC management services company, even if only for a short term. They can show you how to adjust your PPC advertising to make it more attractive to clients, and they can help to save you some cash over the long haul. Not only will you be able to hit your client targets—thereby hitting your ultimate success target—but you can also keep your target-hitting accuracy up for a long time, too.